M.E.C.’s state-of-the-art end launch adapters fulfill needs for inline units that possess broadband capabilities. Their unique, slim profile design achieves low VSWR and insertion loss. 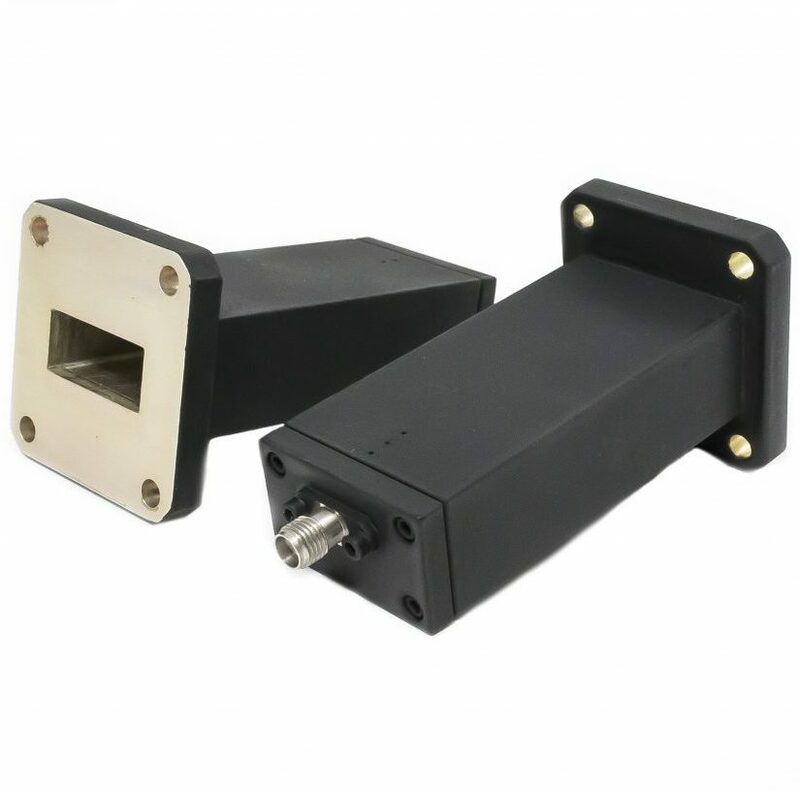 Most notably, these units are capable of operating over the full waveguide band at high power levels, making them ideal for electronic warfare and electronic countermeasure applications where streamlined transmission line routing is desired. (1) Select model number based on desired band. (2) To specify the connector, add suffixes to the model number from the Connector Specifications table above. Also note the maximum frequency and power limits shown. (3) To specify pressure port, add suffix “-P”. (4) Other frequency bands, mounting provisions, and package arrangements available upon request. EXAMPLE: H2E40-N is the model number for the 1/2 height WR112 end launch adapter with type N connector. Overall length is 3.0″.